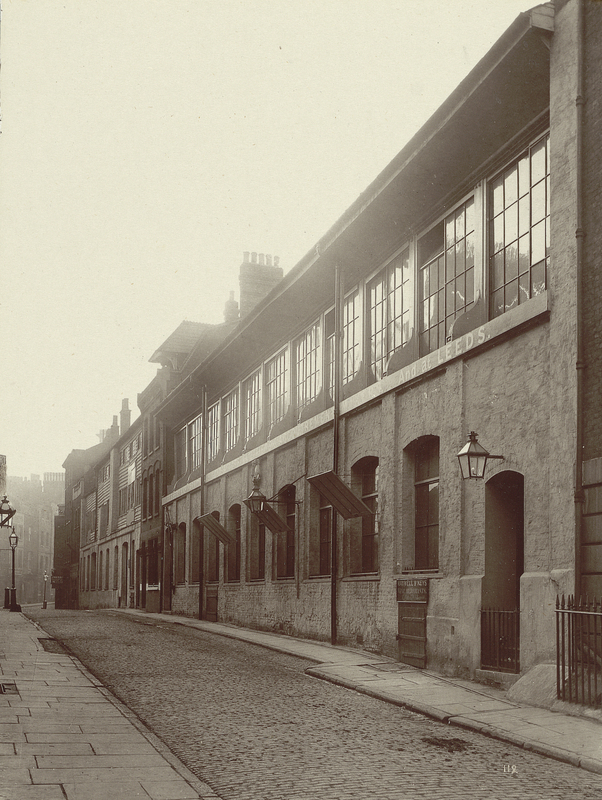 The idea of capturing something in photography before it disappears dates back almost to the dawn of the medium. 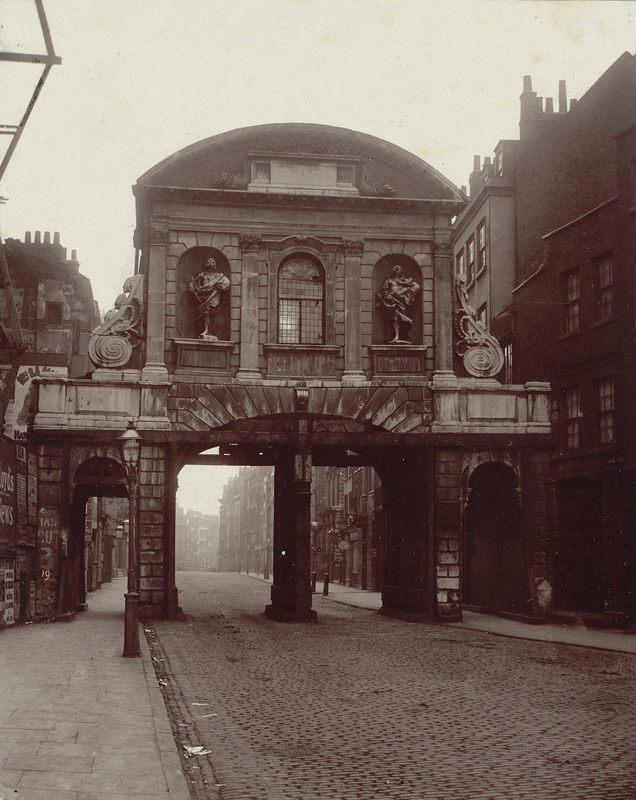 In 1875, a group called the Society for Photographing Relics of Old London formed in response to the imminent demise of the 17th-century Oxford Arms. 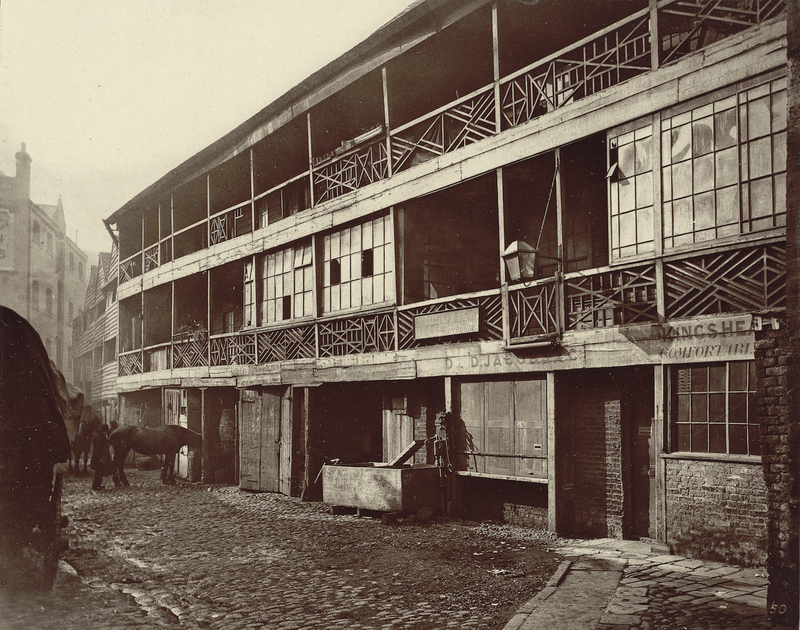 Like many coaching inns, the Arms was facing destruction as the city, coming out of the Industrial Revolution, was in a state of major redevelopment. 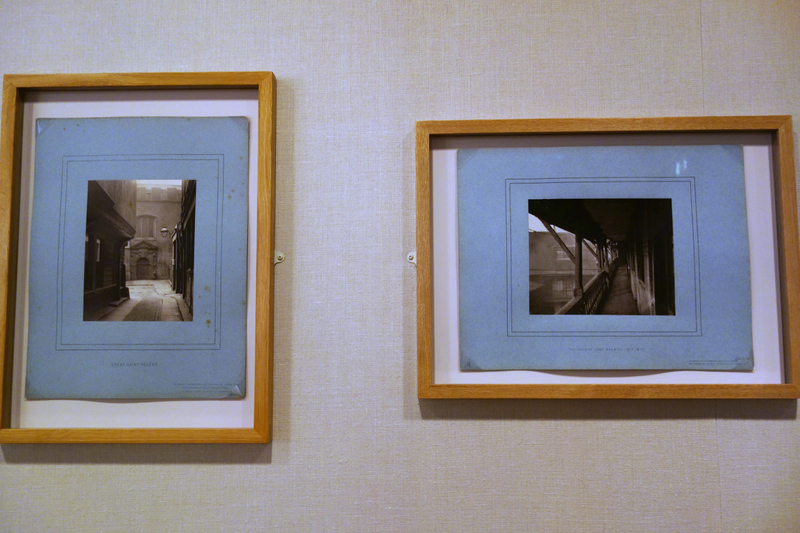 Photographers documented the inn and other soot-stained alleyways, Gothic façades, and rambling wooden structures in glass plate negatives, printed in carbon to make them last. 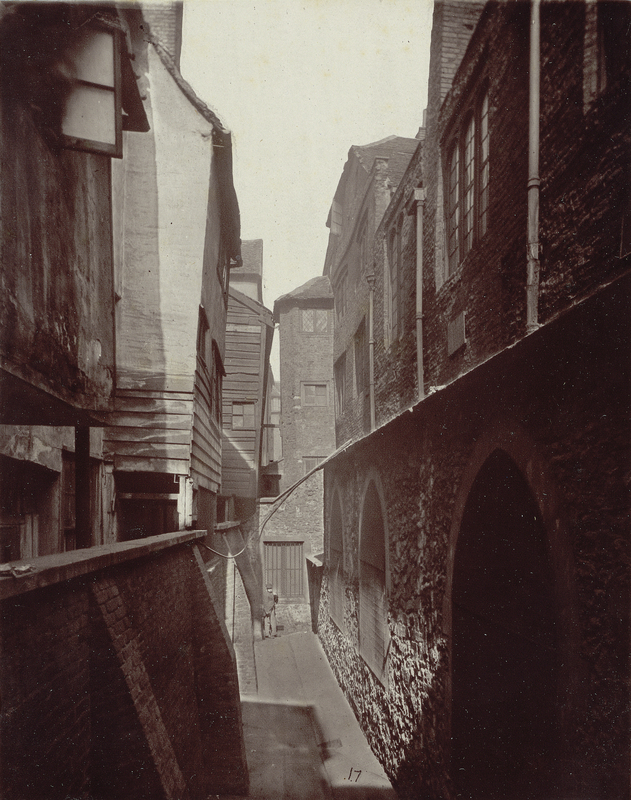 During the Society’s short life from 1875 to 1886, it completed 120 of these carbon prints, photographed by Alfred and John Bool, and later Henry and Thomas James Dixon. 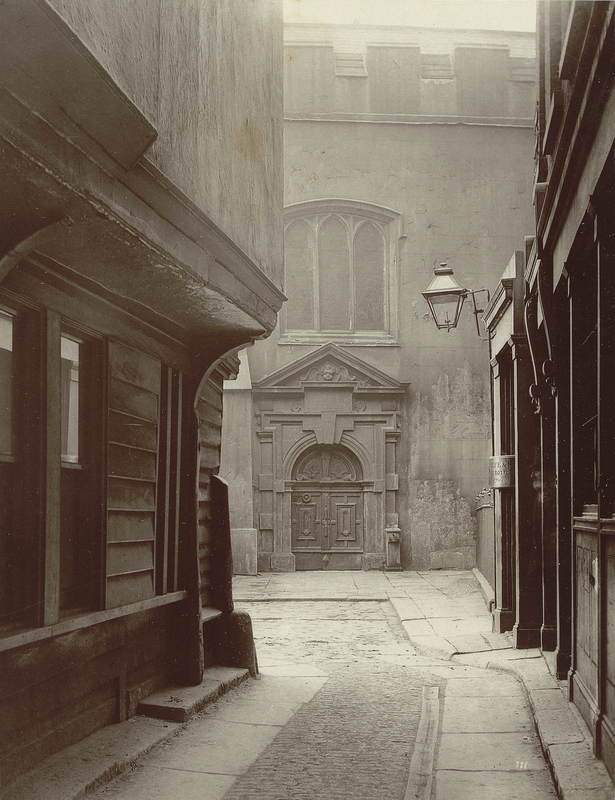 Art in Focus: Relics of Old London is one of the exhibitions that coincides with the reopening of the Yale Center for British Art. The show features some of the work by the Society in a small gallery, each selected by participants in the Center’s Student Guide Program. 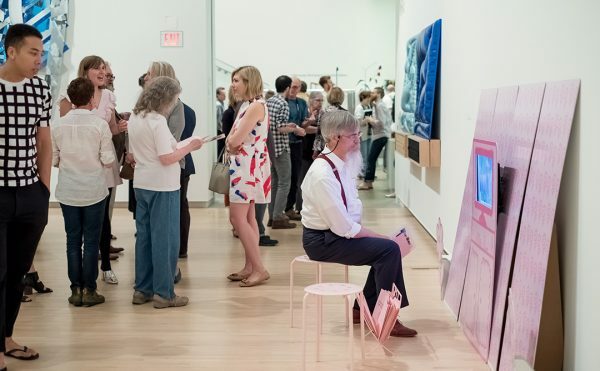 The annual Art in Focus exhibitions offer hands-on experience in curating and invite visitors to explore aspects of the collections that may not be shown otherwise. 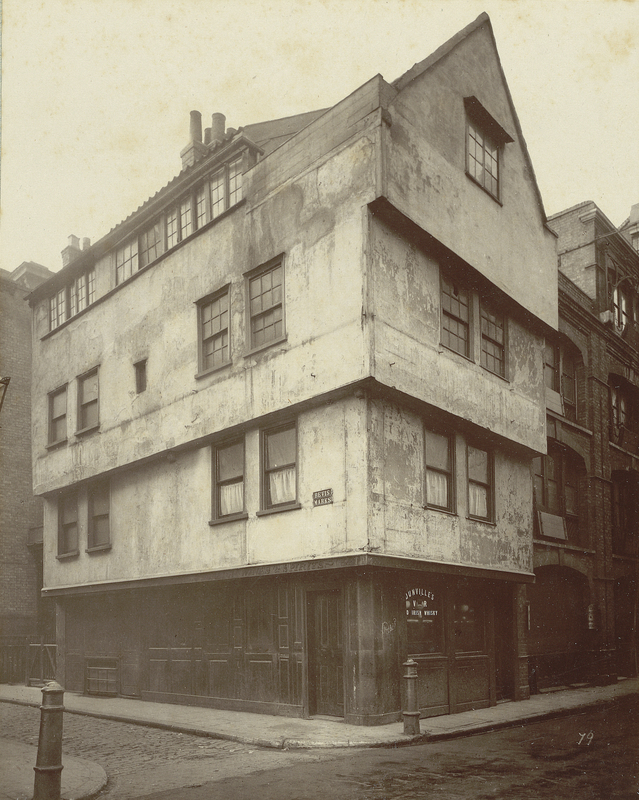 Ramalingam added that the photographs demonstrate “what parts of London were considered worth preserving” to 1870s Londoners, and about half of these sites are still part of its built environment. A map on one wall plots their current or former location. 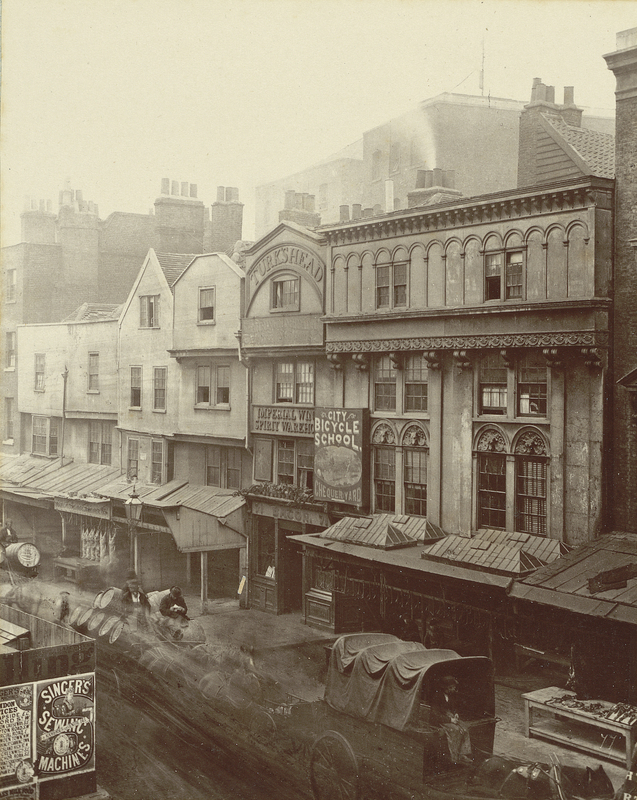 A teetering house in an 1883 photograph is now replaced by the glassy Gherkin skyscraper, and Christopher Wren’s Temple Bar, pictured in 1878, was later taken apart and then reinstated not far from St. Paul’s Cathedral. 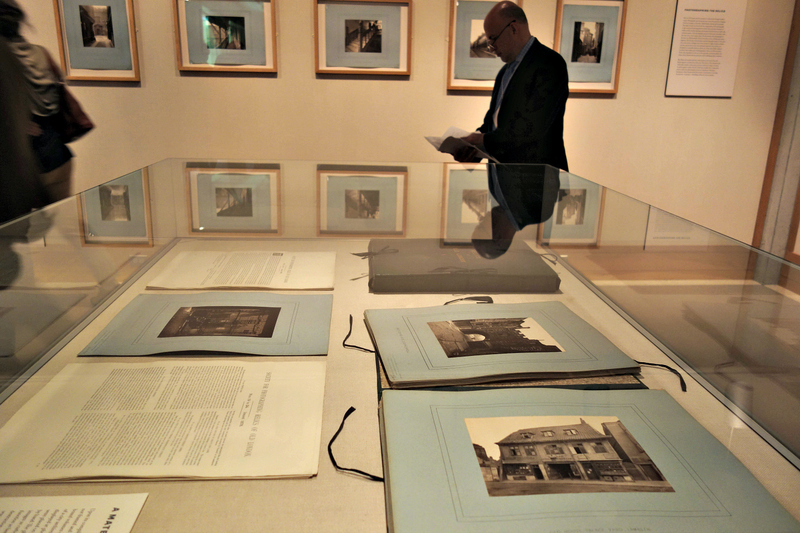 More than just preserve a visual memory, the images represent the beginning of the photographic medium being a deliberate part of our historic record. 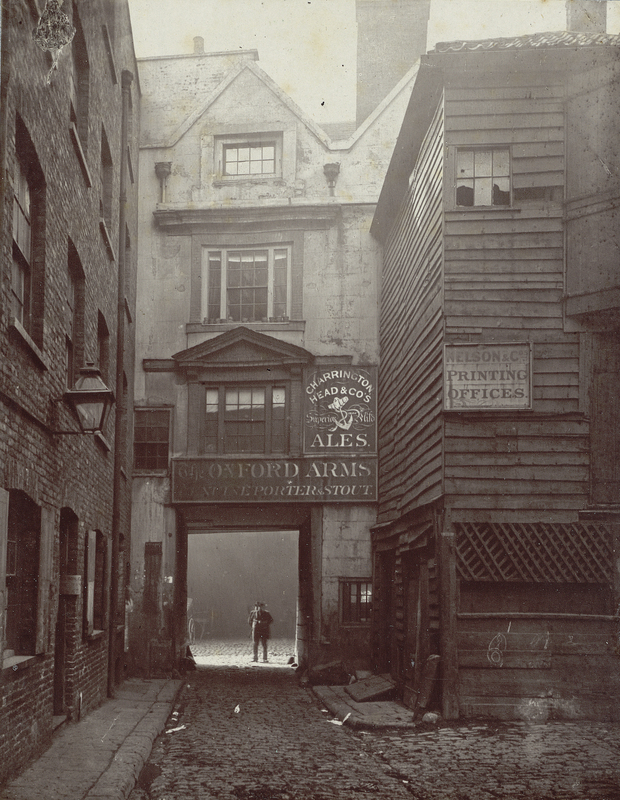 Art in Focus: Relics of Old London continues through August 14 at the Yale Center for British Art (1080 Chapel Street, New Haven, Connecticut).